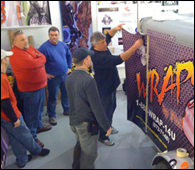 Vehicle Wrap Training by Apple Graphics Inc. - Start your own Vehicle Wrap Business! We don't just preach it, we teach it! ​ Here at Apple Graphics we want to help your business exceed all expectations with new ways of advertising but we also want to share our knowledge with you! 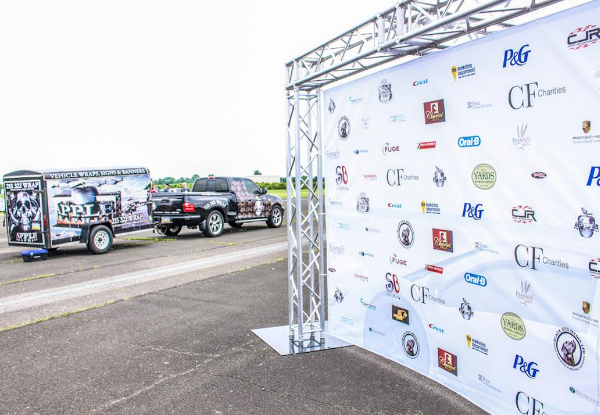 If your looking to get into the Vehicle Wrapping Business or just get a little more experience under your belt, check out our Vehicle Wrap Training Course. The course is one full day usually about 10 hours, In the first half of the day we work on box trucks or trailers to demonstrate flat surface installation, the second part of the day is for curved surfaced and detailing such as how to approach door handles, and all the cracks and crevasses that are a little more tedious. No matter if you are interested in business advertising, or the unique artistic aspects of vehicle wrapping come to the wrap specialists at Apple Graphics. Let us know when is convenient for you and we can schedule a wrap training session, and after you have completed your training don't forget about us we are always more than happy to assist our trainees with any of their projects. Learn the Process beginning with cleaning & preparations. You will learn how to master the tools of the trade. Learn to know the about the materials used and different types of materials for each specific surface. ​Our classes fill quickly so call to reserve a spot today to become a skilled wrap master! Finding the right form of advertising for your business may be a stressful process. Considering how often most ads annoy us rather than inform us, it takes time and finesse to find the right way to deliver a message. Look no further! With a custom designed vehicle wrap from Apple Graphics you can deliver the exact message your business wants to portray in your own style. These days its difficult to get away from ads, they flood our radio, internet, and TV, we try our best to avoid them by "x" pop up ads, flipping through radio stations and changing channels but the annoyance seems never ending. 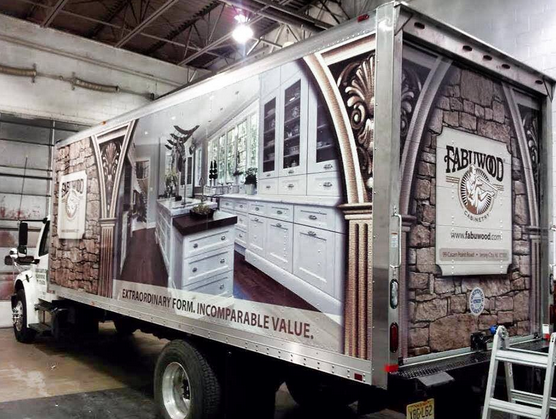 Custom vehicle wraps are the new wave of advertising they capture the attention of your future clients with vivid graphics in a way that's entertaining and fresh. Not to mention the dramatic increase in exposure for your company when you have transformed your personal or company vehicles into your own constant mobile advertising machine. One of the biggest benefits of having a vehicle wrap as opposed to any other form of advertising is cost. Vehicle Wraps are a one time payment from design to completion, so there is no need to worry about monthly payments or hidden fees looming over your head. Even shopping around for radio and TV advertising can cause frustration, simple inquiries even sometimes require credit card information. Eliminate advertising frustration, call us to set up an appointment today to hear how our design team can help your business establish an effective, cost friendly, and personalized way to advertise. Your logo is the identity of your business and designing the perfect logo can be quite difficult but Apple Graphics is up for the challenge! We are constantly surrounded by logos and brands may they be on our clothes, the type of cell phone you have, or the emblem on the car you drive. Whether it is the simplest of decisions or the most complex a majority of the time the choices we make are based off of brand recognition. Apple Graphics has our own in house team of talented graphic designers who are anxiously waiting to take your businesses popularity to the next level by creating the perfect logo for you. At Apple Graphics we don't under estimate the power of simplicity, this can go a long way when choosing a design for a logo. Some examples of simplistic logos would be Facebook: even if you do not have a Facebook you know what the "f" symbol represents, Apple Inc.: iPhone, iPad, MacBook etc. all of their products are branded with just a single apple, Nike: with just a "swoosh" they ended up in every athletes wardrobe around the globe. These multinational corporations are favored world wide because of their ability to exceed all expectations may they be connecting with people, developing the newest electronic, or the quality of sports wear; but what would they be without a logo to set themselves apart from the crowd? If you want to break away from the crowd and develop a unique logo that fits your company's personality choose the design team at Apple Graphics!